Things have never been worse in Yemen. More than 17 million out of a population of 28 million do not get enough food. Yemen is a beautiful country and Yemenis are incredible resilient, having endured hardships for decades. 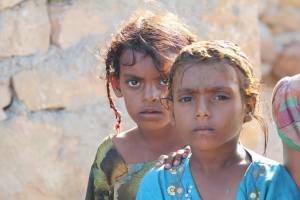 Even before the war, Yemen was the poorest country in the region. Now, the economy has more or less collapsed, a de-facto blocked of imports into the country, and increased insecurity within the country is creating a desperate situation. Norwegian Refugee Council (NRC) is present in Yemen where we support those displaced by war and others facing an increasingly difficult situation, the main focus being on food, shelter, water and education. In 2016 NRC reached more than a million Yemenis with assistance.